Paul Hogan, AM (born 8 October 1940) is an Australian comedian, actor and television presenter. He was nominated for the Academy Award for Best Original Screenplay and won the Golden Globe Award for Best Actor – Motion Picture Musical or Comedy for his performance as outback adventurer Michael "Crocodile" Dundee in Crocodile Dundee (1986), the first in the Crocodile Dundee film series. Paul Hogan was born in Lightning Ridge, New South Wales, Australia. He moved to Granville in Western Sydney at a young age and worked as a rigger on the Sydney Harbour Bridge. Hogan's first public appearance was on Australian television, the Nine Network's amateur talent program New Faces in 1971. Hogan had observed to his Harbour Bridge workmates that the program's entertainment value relied significantly on the judges ridiculing and belittling the performers, and suggested the judges deserved similar treatment. Hogan inveigled his way onto the program by claiming to be a "tap-dancing knife-thrower". Hogan appeared on stage in his work boots, holding elaborate prop 'knives' and proceeded to make a series of jokes at the judges' expense; he finished by performing a rudimentary shuffle and throwing the knives onto the floor. Strong positive response from the viewing public saw Hogan invited back for repeated performances on New Faces; in another of these, he proposed to "play the shovels", which consisted of making a series of jokes before banging two shovels together a few times. Hogan's natural ability as a comedic performer attracted the attention of Mike Willesee, host of Nine's news magazine program A Current Affair. Willesee offered Hogan regular appearances on the show, during which Hogan would make humorous comment on some issue of the day. During this time Hogan befriended Current Affair producer John Cornell, who became Hogan's manager and business partner. Hogan followed this with his own comedy sketch program The Paul Hogan Show, which he produced and wrote, and in which he played characters with Cornell and Delvene Delaney. The series, which ran for 60 episodes between 1973 and 1984, was popular in his native country and South Africa, and showcased his trademark lighthearted but laddish ocker humour. Hogan won the 1973 TV Week Logie Award for 'Best New Talent'. The early series was on Channel Seven and by 1975, it was screened on Channel Nine where it remained until the end of 1984. In the early 1990s, a Paramount executive pitched a concept of a Crocodile Dundee / Beverly Hills Cop crossover movie. Hogan refused the starring role in the hit film Ghost, choosing instead to make Almost an Angel (1990). In 1994 Hogan co-produced, wrote and starred in the Western comedy film Lightning Jack. In 1996 Hogan starred in a remake of the 1963 film Flipper, a family-friendly movie about a dolphin. In 1998 he co-starred in the made-for-TV drama Floating Away, an adaptation of the Tim Sandlin book Sorrow Floats. Hogan played 'Shane', a recovering alcoholic. In 2004, Hogan starred in the Australian-produced comedy film Strange Bedfellows, about two firemen pretending to be in a homosexual relationship for financial benefit. Strange Bedfellows was written and directed by Hogan's friend Dean Murphy and was the highest-grossing Australian-made film of 2004. 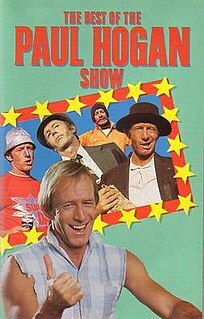 2005 saw the release of Paul Hogan - Stand Up Hoges, a DVD compilation of Hogan's favourite live performances throughout his career. In 2009, Hogan starred in another of Murphy's films, Charlie & Boots, a road-movie concerning the relationship between a father (Hogan) and son (Shane Jacobson). It was the second-highest grossing Australian-made film of 2009, after Mao's Last Dancer. In 2013, 2014 and 2015 Hogan embarked on live stand-up performances throughout Australia. The 2013 An Evening with Hoges tour featured capital cities only but the 2014 tour Hoges: One Night Only featured 25 locations including regional Australia. 2015's Hoges: Live saw shows in Hobart, Melbourne and Sydney only. Some of this material was shown in the 2014 documentary Hanging with Hoges, in which Hogan was interviewed about his life and career by Shane Jacobson. In 2016 Hogan received the Longford Lyell Award for an outstanding contribution to the Australian screen. Hogan joked he'd only ever been a "one-hit wonder". in 1987 Hogan won a Golden Globe Award for Best Actor - Musical or Comedy for Crocodile Dundee. In 2016 Hogan received the Longford Lyell Award, the highest honour of the Australian Academy of Cinema and Television Arts (AACTA), for outstanding services to the Australian screen. Hogan and his first wife, Noelene Edwards, married in 1958. They separated and divorced in 1981 and remarried less than one year later. A second divorce, initiated in 1986, was considered one of Australia's ugliest celebrity divorces. Hogan married his Crocodile Dundee co-star Linda Kozlowski in 1990. He has five children with his first wife and one with his second wife. In October 2013, Kozlowski filed for divorce from Hogan, citing irreconcilable differences. In 2007 Hogan was named as one of a group in connection to a A$300 million Australian tax fraud investigation called Operation Wickenby, investigating 23 companies for allegedly using overseas companies to hide income. In July 2008, Hogan commented to Network Ten that he had "paid plenty of tax" in Australia and that he had nothing to fear from the Australian Taxation Office investigation. On 18 June 2010 in the Australian High Court, Hogan lost a long-running legal battle to keep the contents of his tax documents secret, paving the way for details of his offshore accounts to be published. Earlier the same year, Australian media reported that the Australian Crime Commission was in the final stages of preparing to lay criminal charges of tax evasion against Hogan, film producer John Cornell and their accountant Anthony Stewart, who it suspected channeled millions of dollars from the proceeds of the film Crocodile Dundee and other films into offshore tax havens. The release of the documents is expected to help finalize the Tax Office's case. In January 2011, it was announced that Hogan was suing the Australian government, his lawyer stating that Hogan's "earning potential and reputation has been decimated." Hogan has since likened the Australian Tax Office to the Taliban and referred to staff as 'a-holes'. In May 2012, it was announced that, following mediation before an ex-High Court judge, the entities settled with the Commissioner of Taxation in an agreement "without admission". The parties have agreed that the terms of the settlement are to be confidential, but as part of the settlement, the Departure Prohibition Order has been revoked by the Commissioner. As of April 2013, Hogan's financial advisor Stewart remained in a dispute with the Australian Tax Office. In May 2017, Catman, Chris Jordan, Commissioner of Taxation, implied that in spite of Hogan's claim of victory over the Australian Taxation Office in 2012, Hogan paid "tens of millions of dollars" to settle the matter. In response Hogan denied paying the ATO, and criticized Jordan for breaking the confidentiality clause of the 2012 agreement. ^ Chancellor, Jonathan. "Paul Hogan lists Malibu mansion but will keep Santa Barbara". Property Observer. Retrieved 27 April 2018. ^ "Paul Hogan Net Worth: Crocodile Dundee Hogan Sells His Padaro Beach, California Home". Realty Today. 17 July 2015. Retrieved 27 April 2018. ^ Oldenburg, Ann (18 October 2013). "'Croc Dundee' stars Paul Hogan, Linda Kozlowski split". USA Today. ^ "Trove search results for 'Paul Hogan'". Trove. Retrieved 27 April 2018. ^ "Sydney Harbour Bridge". Australian Government. Archived from the original on 12 May 2012. ^ "Information about the Bridge". Sydney Harbour Bridge. ^ Egan, Joanna (20 October 2010). "Painting the Sydney Harbour Bridge". Australian Geographic. ^ Tatchell, Peter (1994). "Performers: Paul Hogan". Laugh Magazine #9 / Laughterlog. ^ "15th TV Week Logie Awards, 1973". TV Week Logie Awards. Archived from the original on 10 April 2013. ^ Baker, Bill; Bendel, Peggy. "Come and Say G'Day!". Travel Marketing Decisions. The Association of Travel Marketing Executives (Summer 2005). Archived from the original on 4 November 2007. Retrieved 21 December 2007. ^ Davies, Ivor (4 June 1988). "Box office war". TV Week. p. 11. ^ Evans, Bradford (15 November 2012). "A 'Crocodile Dundee' Crossover and Two Other Rejected Ideas for 'Beverly Hills Cop III'". Splitsider. ^ "Floating Away (1998)". IMDb. ^ "2009 Australian Yearly Box Office". Box Office Mojo. ^ "'I'm a huge one-hit wonder': Paul Hogan lands highest Australian film award". News.com.au. 6 December 2016. ^ "1985 Australian of the Year: Paul Hogan AM". Australian of the Year. ^ "Hogan, Paul". Australian Honours List. Retrieved 25 March 2013. ^ "Paul Hogan and Noelene marry son off". The Sunday Mail. 15 December 2007. Retrieved 7 September 2014. ^ Moran, Susannah (13 February 2007). "Paul Hogan linked to $300m tax fraud case". The Australian. ^ "Paul Hogan taunts taxman; Come and get me you bastards". The Daily Telegraph. 4 July 2008. ^ a b Fife-Yeomans, Janet; Roach, Vicky (29 October 2008). "Defiant Paul Hogan humbles tax case clowns". The Daily Telegraph. ^ Malkin, Bonnie (16 June 2010). "Crocodile Dundee Paul Hogan's off-shore tax accounts to be published". The Daily Telegraph. London, UK. ^ "Crocodile Dundee star Paul Hogan banned from leaving Australia by taxman over unpaid bill on £21.4m of undeclared income". The Daily Mail. London, UK. 25 August 2010. ^ "'Crocodile Dundee' to return to US amid tax fray". MSNBC. 3 September 2010. Archived from the original on 5 September 2010. ^ "Crocodile Dundee's Paul Hogan gets early Christmas present". Reuters. 24 November 2010. ^ "Crocodile Dundee star to sue Australian government". Yahoo! Movies UK. 6 January 2011. Archived from the original on 9 January 2011. Retrieved 23 August 2011. ^ Black, Simon (9 March 2011). "Paul Hogan likens the ATO to the Taliban". The Daily Telegraph. Retrieved 23 August 2011. ^ "Hogan lashes out at tax office 'A-holes'". Australian Broadcasting Corporation. 17 August 2011. Retrieved 23 August 2011. ^ "Paul Hogan settles tax dispute". The Sydney Morning Herald. 1 May 2012. ^ Wood, Robert W. (4 May 2012). "Crocodile Tears For Paul Hogan Tax Travails". Forbes. ^ "Actor Paul Hogan's Australia tax battle 'over'". BBC News. 1 May 2012. ^ a b McClymont, Kate; Pilet, Francois (15 April 2013). "Hogan chases his financial adviser and stolen millions". The Sydney Morning Herald. Retrieved 18 April 2013. ^ Moran, Susannah (15 April 2013). "Paul Hogan's battle with Swiss firm for 'stolen' $32m". The Australian. Retrieved 18 April 2013. ^ Moran, Susannah (18 April 2013). "Philip Egglishaw denies Paul Hogan theft". The Australian. Retrieved 18 April 2013. ^ McClymont, Kate. "Paul Hogan likely paid tens of millions of dollars to the ATO, Parliament told". The Sydney Morning herald. Fairfax Media. Retrieved 28 September 2018. ^ Mitchell, Georgina. "'I didn't pay them off': Paul Hogan denies claims he paid millions to Tax Office". The Sydney morning Herald. Fairfax Media. Retrieved 28 September 2018. Crocodile Dundee II is a 1988 Australian-American action comedy film. The second of the Crocodile Dundee films, it is a sequel to Crocodile Dundee (1986) and was followed by Crocodile Dundee in Los Angeles (2001). Actors Paul Hogan and Linda Kozlowski reprise their roles as Mick Dundee and Sue Charlton, respectively; here shown opposing a Colombian drug cartel. Linda Kozlowski is an American former actress. She was a nominee in 1987 for a Golden Globe Award. The Paul Hogan Show is a popular Australian comedy show which aired on Australian television from 1973 until 1984. It made a star of Paul Hogan, who later appeared in "Crocodile" Dundee. Hogan's friend John Cornell also appeared in the show, playing Hogan's dim flatmate Strop. Crocodile Dundee in Los Angeles is a 2001 Australian-American action comedy film, directed by Simon Wincer and starring Paul Hogan. It is the sequel to Crocodile Dundee II (1988) and the third film of the Crocodile Dundee series. Hogan and Linda Kozlowski reprise their roles as Michael "Crocodile" Dundee and Sue Charlton, respectively. The film was shot on location in Los Angeles and in Queensland. 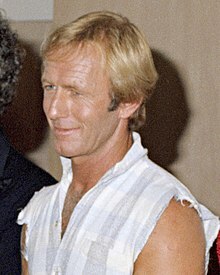 Actor Paul Hogan reported that the inspiration for the storyline came during a tour of Litomyšl, Czech Republic in 1993. "Shrimp on the barbie" is a phrase that originated in a series of television advertisements by the Australian Tourism Commission starring Paul Hogan from 1984 through to 1990. The actual quote spoken by Hogan is "I'll slip an extra shrimp on the barbie for you", and the actual slogan of the ad was "Come and say G'day". It has since been used, along with some variations, to make reference to Australia in popular culture. Joshua Lawson is an Australian actor best known for his role as Doug Gugghenheim in Showtime sitcom House of Lies. Daniel Richard McBride is an American actor, comedian, and writer. 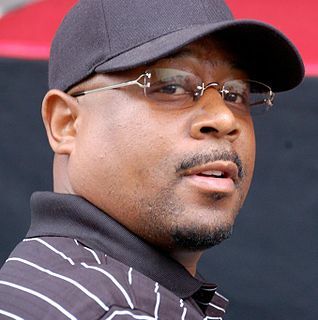 He starred in the HBO television series Eastbound & Down and Vice Principals, both of which he co-created with frequent collaborator Jody Hill. He has also starred in films, such as The Foot Fist Way (2006), Pineapple Express (2008), Tropic Thunder (2008), Up in the Air (2009), Your Highness (2011), This Is the End (2013), and Alien: Covenant (2017). Morgan O'Neill is an Australian writer, director, actor and producer. He is also an accomplished professional musician. Having earned an honors degree in Literature from the University of Sydney, he subsequently graduated from the National Institute of Dramatic Art (NIDA) with a BA in Performing Arts (Acting) in 1998. Since then he has worked extensively in the entertainment industry, both in Australia and the US, with television roles including Home and Away, All Saints, Water rats and Sea Patrol. O'Neill also appeared in Crocodile Dundee in Los Angeles, Joanne Lees: Murder in the Outback, Supernova, Little Oberon and the 2012 Netflix movie, The Factory, which he also directed. Australian comedy refers to the comedy and humour performed in or about Australia or by the people of Australia. Australian humour can be traced to various origins, and today is manifested in a diversity of cultural practices and pursuits. 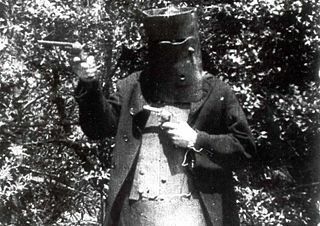 Writers like Henry Lawson and Banjo Paterson helped to establish a tradition of laconic, ironic and irreverent wit in Australian literature, while Australian politicians and cultural stereotypes have each proved rich sources of comedy for artists from poet C. J. Dennis to satirist Barry Humphries to iconic film maker Paul Hogan, each of whom have given wide circulation to Australian slang. The Crocodile Dundee film series are centered around a crocodile hunter named Michael J. "Crocodile" Dundee. The movies star Paul Hogan in the titular role, over the course of three feature films centered around his adventures. Hogan refused several proposals for more Crocodile Dundee films.